The idea of true wireless in-ear headphones has been circling around for more than a decade, but in the last few years, that idea has become a reality. Most headphone manufacturers carry their own version of true-wireless earbuds, but as phone makers are starting to do away with the essential headphone jack, headphone makers are clamoring to create the perfect pair of true wireless earbuds. 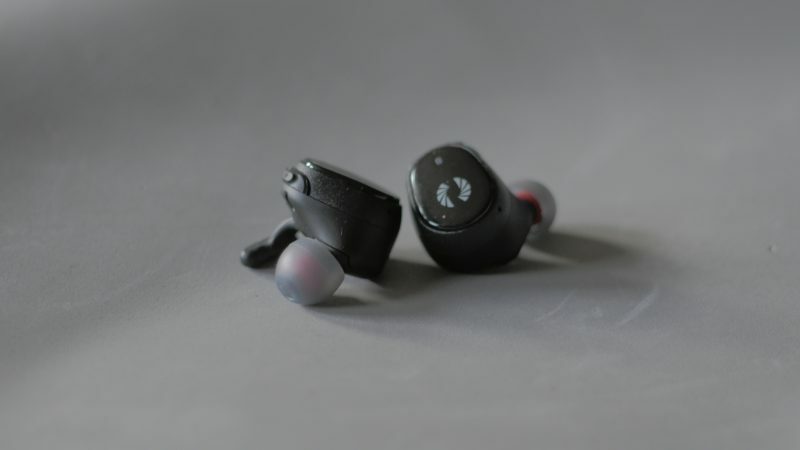 Phiaton, a California-based headphone manufacturer, will be releasing its own wireless earbuds, the “BOLT BT700”, a pair of true wireless in-ear headphones that it successfully funded with a Kickstarter campaign. But can this relatively unknown company make some serious waves in the market of wireless earbuds? The Bolt BT700 has a nice oval shape to them that makes it easy when placing them in your ear. They’re lightweight and small, so once you wear them they are pretty comfortable. The ear tips sit at an angle that is directed clearly towards your ear canal to maximize sound. The ear tips have silicon-based covers that come in a variety of sizes. To ensure that the earbuds stay in your ear during active movements, the Bolt BT700 includes rubberized ear wings that ensure that they not only stay in your ear but also alleviates pressure that’s being applied to your ear. Next to the ear tips, you’ll find the contact points that help allow the headphones to charge once they’re placed inside the charging case. On the outside of the headphones, you’ll find physical buttons that control certain features when it’s connected to your smartphone. On the top of each channel, you’ll get volume buttons which are indicated with a plus or minus sign. On the outside of each channel where the logo sits is a touch sensitive button that will also allow you to control some music features. The charging case is a small cylindrical shape that fits right in the palm of your hand. The case measures 3.70 X 1.45 X 1.41 inches and weighs 93g with the headphones inside. On one side of the case you’ll find a speaker grill, and on the other side you’ll find a power/Bluetooth button, 4 LED lights and the USB port to charge the carrying case back up once it’s depleted. 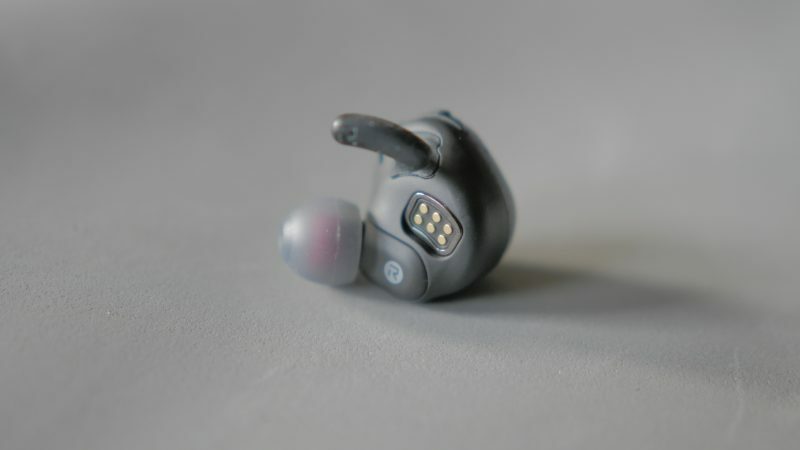 The Bolt BT700 is built with balanced armature drivers, which are drivers you’ll typically find in hearing aids and in-ear monitors. The balanced armature drivers help to produce a very clean, even, and dynamic sound. On a flat profile, the lows are moderate and not expressively punchy. The highs are balanced and sharp, and the mids are clear. While listening to hip-hop, the low end was nice and tight, while in pop-songs vocals came in with a lot of detail and range. The charging case of the Bolt also plays music with its built-in speaker. Unfortunately, you won’t get the same audio quality as you would in the actual earbuds. The lows and mids were satisfactory and most of the time sounded well balanced. But the highs came in with some distortion often coming in at a higher frequency that made the audio come in with a high-pitched ting. Nevertheless, the speaker on the carrying case is something you probably won’t be using that much or at all, unless you were in dire need of some music while your earbuds are charging. The earbuds have a battery life of roughly around five hours before needing to be placed back into its charging case. The case can offer up to 3 full charges before being depleted, so that should give you close to, or just over 20 hours of power for the earbuds. One feature that I liked that Phiaton included was the ability to hear what the battery life is on your earbuds. By pressing and holding one the touch-sensitive controls for a period of time, an audio prompt will turn on you telling you how the battery life is doing. And if you’re low and need to squeeze in a charge just to get you through with what you’re doing, the Bolt BT700 is built with quick-charge, so a 15-minute charge can extend you about an hour of listening time. 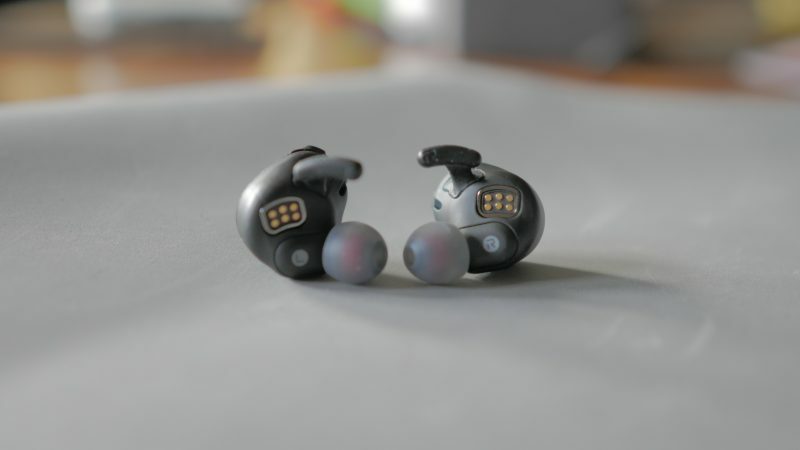 With the Bolt BT700 being the first true wireless in-ear headphones for Phiaton, they came in with a great sounding and feature packed headset that shows that big things can come in small packages. The controls can take some time getting used to, but luckily enough they’re easy to find when you’re wearing them. The IPX4 sweat and water resistant rating make these a perfect pair to use while working out, and the quick charge helps when you’re in a musical pinch. Though the charging case can easily fit in your hand, its cylindrical shape doesn’t make it ideal to place in your pocket, and the built-in speaker doesn’t produce the best quality sound. 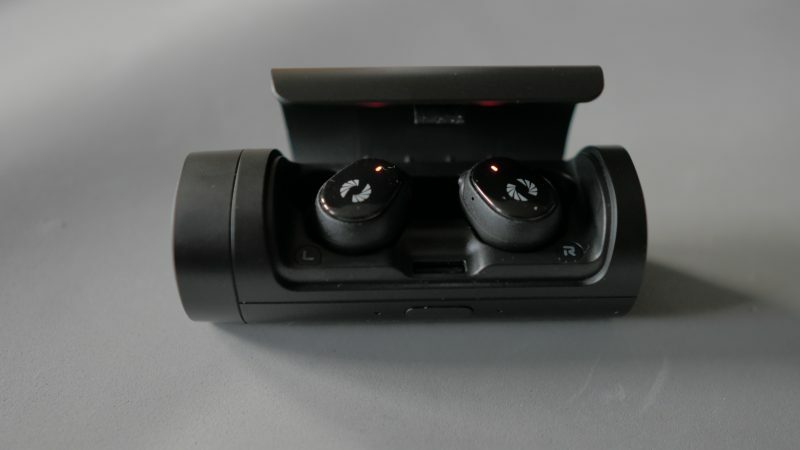 Though Phiaton is hidden behind other well-known headphone manufacturers, the Bolt BT700 makes a strong case that it’s a company that should be strongly considered when looking to buy your next or first pair of true wireless in-ear headphones. 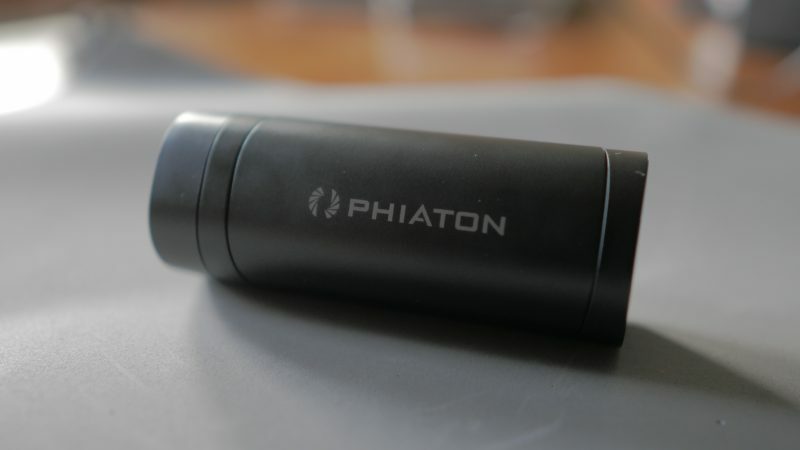 The post Phiaton Bolt BT700 review: Small size, big features appeared first on Nerd Reactor.